In 2014, when LaTonya Gates-Boston turned the key for the first time in the former trap house she bought on Donald Lee Hollowell Parkway in northwest Atlanta, she was greeted by a stripper pole in the dining room, bullet holes in the ceiling, and a squatter freebasing cocaine in the living room. The vinegary smell of smoked heroin hung thick in the air. After shooing away the squatter, Gates and her husband started swinging hammers and hanging drywall. 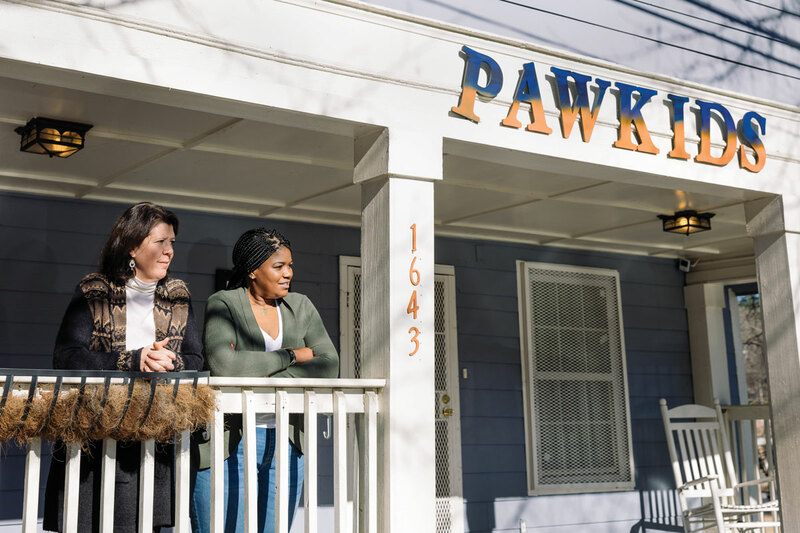 Four months later, the bungalow became the home of PAWKids, a nonprofit started by the couple where children can go after school to learn photography, parents can take GED tests, and residents can meet with occupational therapists. Less than two years ago, census data showed that 41 percent of the homes in this neighborhood—called Grove Park, for the developer who founded it nearly a century ago—were vacant, and about the same percentage of its residents were impoverished. Today, though, the Bankhead-area neighborhood is resurging. A renovated three-bedroom house rents for around $1,650 a month—more than double the typical price Gates found when she moved here four years ago. Though affordable homes can still be found, a fully renovated four-bedroom bungalow sold for nearly $260,000 in December. 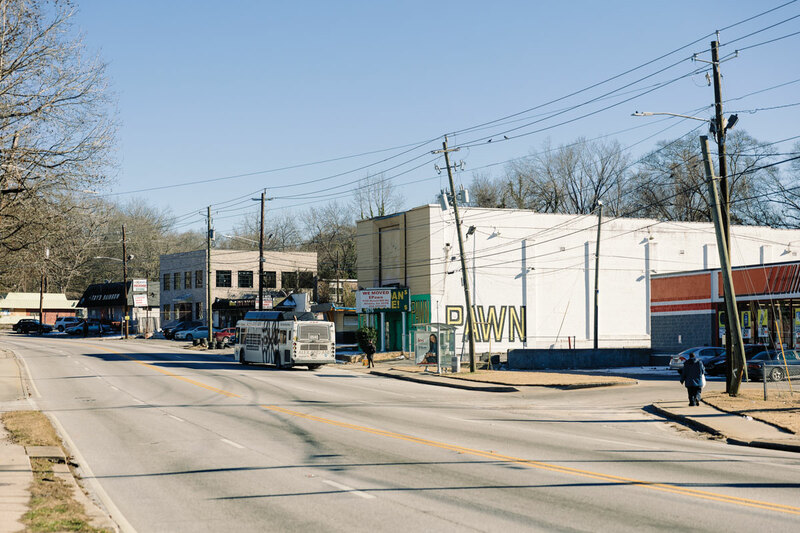 Long neglected by developers and city planners, Grove Park’s turn in the gentrification spotlight is attributable to its proximity not just to downtown but also to some of the most ambitious green-space initiatives in Atlanta’s history. 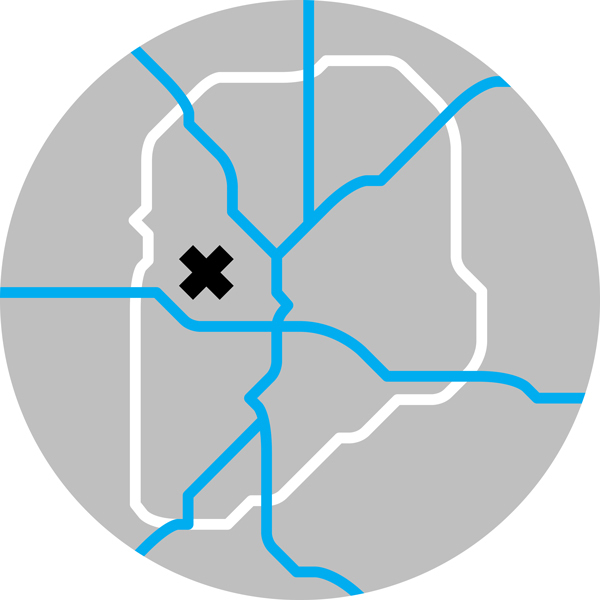 Just north of the neighborhood lies Westside Reservoir Park, which will surpass Piedmont Park as the city’s largest. Work on the BeltLine’s northwest segment, a half-mile away, is set to begin in the next few years. A seven-mile bike trail, part of the Emerald Corridor initiative, is being built along Proctor Creek and will go all the way to the Chattahoochee when completed. (Workers are also addressing sewage issues that have made Proctor Creek a breeding ground for mosquitoes and E. coli.) Developers have Grove Park on their radar: There’s a $250 million residential development proposed on the quarry’s eastern edge, and a group that includes former Atlanta Brave Mark Teixeira is pitching a mixed-use project with a hotel. For the past six months, and with little fanfare, the group has teamed with the Atlanta Volunteer Lawyers Foundation to help 20 residents break unfair leases or stop wrongful evictions. Habitat for Humanity’s Atlanta chapter has signed on to repair houses. Soccer in the Streets is fielding teams. Atlantic Capital, a bank, is funding financial literacy programs to teach residents how to improve their credit scores, which could help them purchase homes. Later this year, the Grove Park Foundation will begin reviving Donald Lee Hollowell Parkway, the area’s commercial corridor. Crews will demolish the shuttered Carter G. Woodson Elementary School to construct the anchor of the revitalization: Woodson Park Academy, a $40 million neighborhood school—paid for by Atlanta Public Schools and the foundation—serving Pre-K through eighth grade, with a YMCA and a school-based health center. KIPP, which already operates nine charter schools in the city, will staff and manage the academy, which will open in 2020. Unlike charters, it will be open to all students living in the area. Down the street, Edelson’s group has purchased the shuttered Grove Theatre with plans to revive the circa 1940 cinema with arts programs. Nearby, the foundation controls roughly nine acres where Grove Park Renewal, a community-based affordable housing developer, will build a mixed-income residential development—two-thirds of which will be reserved for people making less than $35,000.